The price for cotton has jumped over 250 percent in the last year. The cost in April 2010 was $0.88 per pound and went to an all time high of $2.30 per pound in March 2011. And even though the prices are decreasing ($1.65 in May 2011), analysts do not expect the cotton prices to again reach the low 2010 values. Below is a discussion on the reason why cotton prices have increased so dramatically, the impact it has on the retail prices of textiles (fabric, cloth),* and ultimately the impact it has on licensing art to the textile industry. *Read the definitions and subtle differences of textile, fabric, and cloth in Wikipedia. The 2010 surge in cotton prices was because of a global cotton shortage. This shortage was caused by a variety of events such as lower cotton production, loss of cotton crops, higher energy and labor costs, weakening U.S. dollar, and placing export quotas on cotton in India while the demand for textiles and cotton products rose (mainly in China). In 2009, the switching of cotton production to other crops that were more profitable than cotton started the impetus for escalating prices in the U.S. It was followed in 2010 by loss of cotton crops due to bad weather in Pakistan (flooding), China (drought) and India (monsoon) that affected one quarter of the global cotton crop. And the multitude of events and reasons for the cotton shortage goes on. 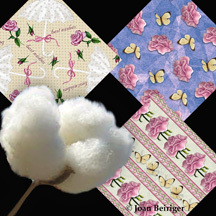 To find out more, read Textile Forecast: "High Cotton Prices: How Did We Get Here?" Most manufacturing of textiles takes place in mills around the world and not in the U.S. Because the U.S. textile industry is small, it exports much of the cotton it produces and imports most products that contain cotton from other countries. China is the largest producer and consumer of cotton. To find out more cotton information and statistics, read "Cotton" sponsored by E*Trade. Last year, there was no significant increase in textile prices because manufacturers* either still had the cotton that was purchased at lower prices or they absorbed the higher cotton cost. They were worried that their customers would not pay higher prices. And they were right because earlier this year India cut their textile production because of the sinking demand for cotton. Some manufacturers will offset the higher cost of cotton by reducing the cotton content in the products by introducing other materials such as a polyester for a poly-cotton blend or even switch to other materials like Lycra. But the higher costs of cotton will eventually be passed onto consumers so manufacturers and retailers can maintain a profitable gross margin (difference of cost to produce product or cost at wholesale, and income from sale of product). Read the following articles for additional information. • from CNN Money: "Cotton prices heat up this summer"
• about bath textiles: "Rising Costs a Concern For Bath Textiles Suppliers"
• about scrubs: "What's Up With Cotton Nursing Scrubs?" • about quilt fabric companies: "What's Up With Cotton?" * In the licensing industry, many companies that are called manufacturers do not actually manufacturer their products but outsource them to companies that produce the products. Thus, they are really suppliers of products and not manufacturers. 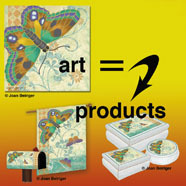 Not all textile products use licensed art. 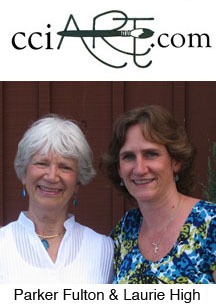 But pillows, throws, scrub clothing, fabrics for quilting, kitchen and bath textiles, rugs and mats, needlework kits, etc. use licensed art somewhat. And unfortunately, the rise in cotton and labor costs are bound to affect licensing art for those products. At Surtex, I heard several artists and an agent say that the amount of licensing deals for kitchen textiles is down from previous years. They attune it to the escalating costs in producing textiles. Manufacturers gross margins are smaller and they are looking for ways to cut costs so that they do not have to increase the price beyond the point consumers are willing to spend. One method of cost savings is not to license art but to either buy the art outright or not put art on some textile products. The drop in sales of cotton fabrics with the rising cost has already impacted the quilting industry as many consumers are reluctant to pay over $10 a yard. Quilters are no longer willing to purchase huge amounts of fabric to add to their fabric stashes for future projects. They are either buying just enough for an immediate project or using fabrics from their existing stash that was purchased years ago. In the long run, the reduction in textile sales will affect manufacturers. It could cause those manufacturers that license art to go out of business and give artists less licensing opportunities. It sounds gloom and doom doesn't it? Well, artists that design mostly for the textile industry can wait and see if the prices come down as the economy improves or they can be proactive. Be proactive by creating designs or convert existing ones (if suitable) for other industries such as the paper industry (journals, greeting cards, scrapbooking, party, etc.). And for those artists that only create patterns, take that extra step and create central images that complement the patterns. That will give additional opportunities for licensing art to more industries. Most of all, work harder at creating art than you have ever worked before. Artist Paul Brent stated during his May 25, 2011 "Ask Paul Brent" call with Tara Reed** that the poor economy has definitely impacted the amount of his licensing contracts. So what did Paul do? He worked harder and created an impressive 40 art collections last year (30% more than normal) so that he will have a better chance in licensing his art this year. As he said, licensing is a volume business and the more good art you have the better your chances in getting licensing deals. Kudos Paul! You are a true PAL (Positive Art Licensor). 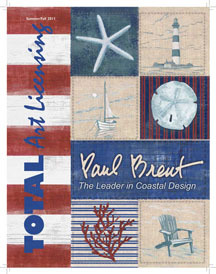 ** A downloadable audio file of the May 25, 2011 "Ask Paul Brent" call that answered artists licensing questions and discussed Surtex 2011 can be purchased at ArtLiceningInfo. Publisher Francesca Ash of Total Art Licensing magazine moderated the "Trends in the Art Licensing Business" seminar at Surtex 2011. The panel included Susan January (VP Product Management, Leanin' Tree), Mary Beth Freet (Creative Director, Pink Light Designs), Gus Walbot (Co-owner, Mosaic Licensing), and Francesca Ash. Francesca has graciously agreed to share her thought provoking introductory speech made at the seminar about the inherent complexity in predicting licensing trends. 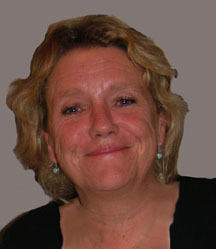 Francesca resides in the U.K., has been involved in licensing since 1978, was an officer of LIMA (Licensing Industry Merchandisers' Association) for two years, and presently the publisher of the Total Art Licensing magazine plus other Total Licensing publications. Predicting trends in any business isn't particularly easy. If it was easy, let's face it, we'd all be billionaires! But in the licensing business, somehow, it seems even more difficult. Because the industry covers such a wide spread of product lines, there is so much affects trends in the business. The crossover from art and design to entertainment, fashion and even technology is significant and all this gets put into the trend 'melting pot' from which we make, in theory, rational, measured and sensible decisions. The purpose of this is to set the scene on the business of licensing trends and give you a few personal thoughts on the whole area. First of all, in my mind, whilst you can be fortunate enough to predict accurately what's coming next, bear in mind that there are always exceptions to the rule! We publish not only Total Art Licensing but also a weekly online newsletter and a mainstream licensing magazine, Total Licensing, which covers the high-profile entertainment and brand industries amongst others. Our readers come from more than 100 countries and so does our editorial input which makes it easy to see how a trend in one territory may absolutely not be a trend in another. I'll give you an example. 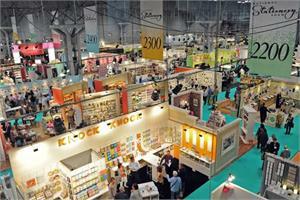 Last year, I traveled to two trade fairs within three days of other other. The first was the Children's Book Fair in Bologna in Italy. The second was a licensing forum in Paris. Geographically, according to Google, there is only 675 miles between them. That's quite a lot less than the distance between New York and Chicago. In reality, though, there might as well have been light years. In Italy, colour was everything and specifically lime green and a rich purple. From clothing, to housewares, bedding and home décor and tableware – purple and green ruled. In Paris, three days later, there was absolutely NO purple and green. A lot of black and white and a lot of red but no purple and green. So you can see, if you are trading within the EU for example, it's impossible to generalize across national borders in terms of trends and styles. What trends in one place may well not trend in another. Another example, this time from the entertainment industry. A few years ago, a property was launched, to great success in the US which was then taken across the Atlantic, stopping first in the UK. The licensor took it around various of the larger agents who turned it down flat. That property was the Teenage Mutant Ninja Turtles. Why did they turn it down? Apparently, because the UK doesn't have turtles (it has terrapins instead), children wouldn't relate to pizza-eating reptiles with Brooklyn accents and, finally, because green wouldn't sell at retail! As you probably all know, the Turtles became one of the biggest licensing successes in decades, generating literally billions of dollars in revenue. Hopefully from this you can see and will appreciate that there are always exceptions to the rule. But you need to understand and appreciate the rule to realize these exceptions. In our new issue of Total Art Licensing (Summer / Fall 2011), we have more than 140 companies featured, a large number of whom are here at Surtex. To try to understand if the art display in the magazine would give indications of trends in terms of popular subject areas, I did a brief analysis of the content. The results made interesting reading. There are five key themes that really stand out in the magazine this year. Holidays and Christmas (there are images of more than 25 snowmen and over 30 Santas. Another is animals and birds (from fine art depictions to illustrative. Then comes floral and fruit followed by food and drink – specifically coffee and cupcakes. Last but not least, we have teddy bears. None of these sectors are particularly surprising. But isn't that a trend in itself. In the entertainment industry, classic movies and brands predominate. New movies tend to be sequels or prequels. Retailers continue to veer towards the tried and tested rather than risking something new. The same, in many ways, can be said for art. And the traditional sectors that I mentioned, bear out this trend. What was obvious during the seminar is that trends may not be the same in different industries, regions, and countries. Also the importance in following trends may be important in some industries but not in others. So artists need to know the industry and the particular manufacturer they are submitting art to. For instance, Does the manufacturer use trend forward colors and themes or do they use traditional ones. Otherwise, the artist is wasting her or his time as well as the manufacturer if the art submitted is not what the manufacturer is looking for.